Register today for “Driving CME Process Innovation using Lean Six Sigma Methodologies” on Thursday, November 14th at 2pm EST. 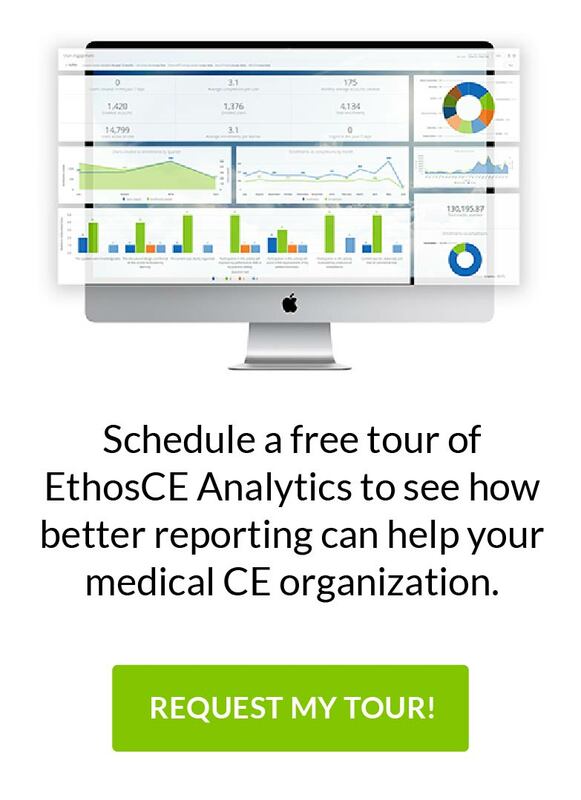 Join us as Danielle Milbauer, MBA, Administrative Director of the Office of Continuing Medical Education at the NYU Post-Graduate Medical School and Raja Venkata Akunuru, PMP, LSSBB, CSM, of EthosCE Learning Management System discuss 5 key steps to driving process excellence and creating a collaborative, service-oriented organizational culture within your CME enterprise. Lean Six Sigma strategies, techniques and tools focus on process improvement that will enhance operational performance by identifying and eliminating inefficiencies through a range of practices and tools. Today, Lean Six Sigma is widely used by academic centers, health systems and corporations to advance patient care. This webinar promises to introduce evidence-based management strategies that will change how we conduct our operational strategies within continuing education (CE) in the health professions. Appreciate the strategic value of implementing a process innovation initiative (e.g., Lean Six Sigma) and its potential impact upon key performance measures within your continuing education department. Understand the 5 key steps involved in analyzing a business process using Lean Six Sigma methodologies. Gain overview of concepts such as current and future state of a process. Danielle Milbauer, MBA, is the Director of the Office of Continuing Medical Education at the Post-Graduate Medical School at the NYU Langone Medical Center. Using Lean Six Sigma, Danielle has led efforts within the Office of CME to eliminate inefficiencies, improve process innovation, and increase collaboration with multiple departments. Danielle is a certified Lean Six Sigma Green Belt, which is the result of her key technical skills and passion for continuous improvement. Prior to joining NYU, Danielle was an Operations Manager at AIG, where she mentored and managed the operations staff and developed blueprints for improving internal compliance. Danielle earned her MBA at NYU Stern School of Business and holds a Bachelor of Science from the University of Delaware in Finance with a minor in Management Information Systems. Raja Venkata Akunuru, PMP, LSSBB, CSM is the Director, Client Services at EthosCE Learning Management System and DLC Solutions. In this capacity, Raja manages an enterprise-level IT portfolio applying proven and scalable data-driven project management methodologies that deliver sustainable business outcomes. In his 8+ years of experience as a technology and process consultant, he has led client engagements with business, technology and leadership groups in healthcare and continuing education sectors, applying process and technology solutions which produce measurable impacts on operational excellence, continuous improvement, employee engagement and customer success. Prior to joining DLC Solutions, Raja was a key member of R&D and customer support teams at Sum Total Systems, a leading Human Capital Management vendor for Fortune 100 clients such as Wal-Mart, McKesson and Microsoft. Raja is a Lean Six Sigma Black Belt, PMI certified and Certified Scrum Master (CSM) professional and is currently pursuing his part-time Masters in Information Systems from Globe University, Minneapolis. Jere my C. Lundberg, MSSW, is the Chief Executive Officer of EthosCE Learning Management System and DLC Solutions, LLC, an award-winning technology firm specializing in web, e-learning, and social media solutions for continuing education (CE) in the health professionals. For twenty years, he has been creating innovative web solutions for major medical associations, health systems, and Fortune 100 pharmaceutical companies – such as the American Academy of Family Physicians, American Psychiatric Association, United Healthcare, and the University of Pennsylvania School of Medicine. Jeremy is a recipient of the Alliance for Continuing Education in the Health Professions President’s Award for his leadership in emerging technologies and is a peer-reviewer for Medicine 2.0 and the Cleveland Clinic Journal of Medicine. Jeremy is an active member of the Alliance for Continuing Education in the Health Professions, MedBiquitous, the Drupal Association, and the E-Learning Guild. He has served on the board of directors for multiple medical associations and not-for-profit organizations and is an accomplished author, scientific and technology researcher, and lecturer. Content Authoring Options In EthosCE Can You Recognize the Most Business-Critical Feature of Your LMS?